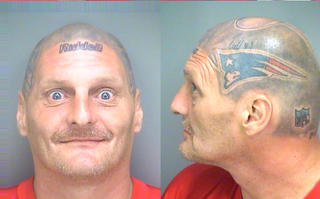 You may remember Victor Thompson, the man with a Patriots helmet tattooed on his head, from back in 2012. I interviewed him a few days before the Patriots played the Giants in Super Bowl XLVI, since he lived roughly 20 minutes from me in New Hampshire. 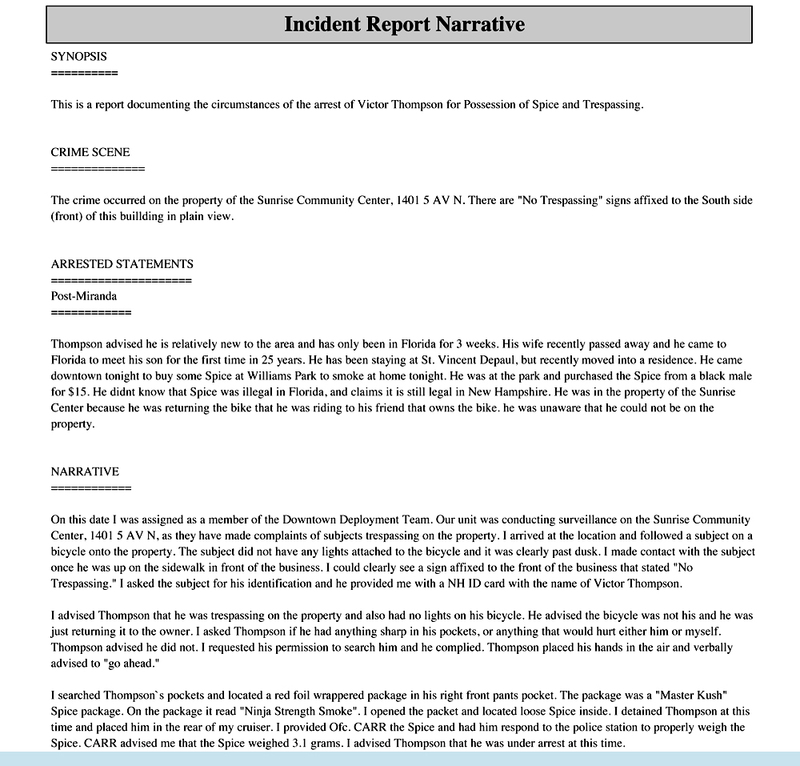 Thompson was in jail at the time for willful concealment, and it seems he reportedly fell into more legal trouble last month. Thompson allowed police to search his pockets after he was spotted trespassing outside a community center. When questioned by police, Thompson said that he purchased the "Master Kush" Spice "from a black male for $15" at a downtown park, according to a police report. Thompson reportedly told cops that he did not know Spice was illegal in Florida, claiming that it was "still legal in New Hampshire," his home state. Judging from his latest mugshot, Thompson hasn't stopped loving the Patriots—he appears to be wearing a throwback AFL jersey. Also, the whole tattoo thing's still there.